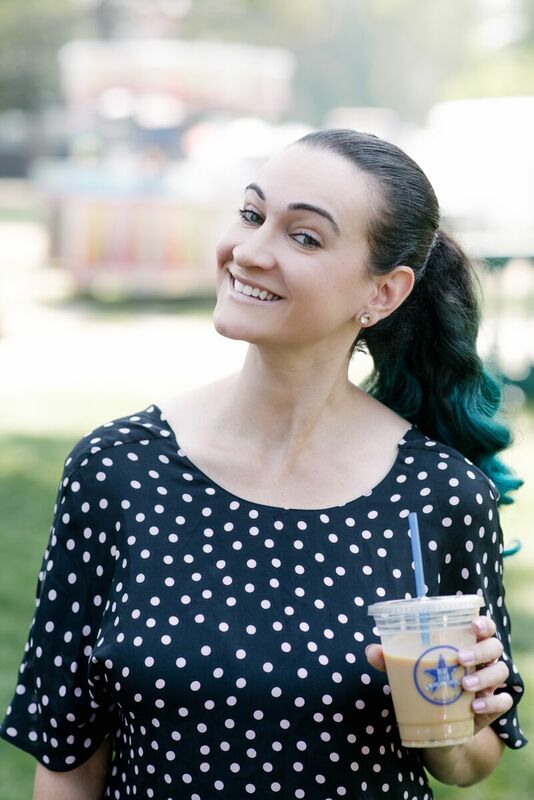 Our local farmers market is held in Pioneer Park in downtown Salt Lake City. 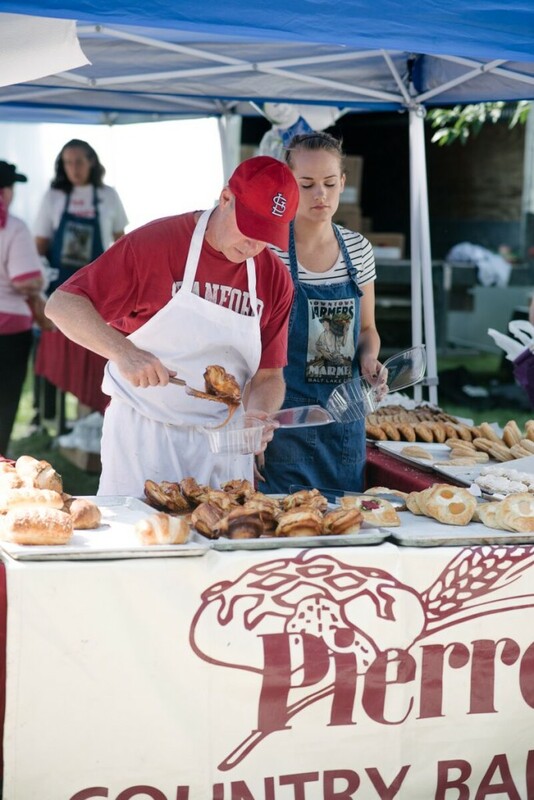 It happens every Saturday morning and brings out the best of the best in regards to local growers, artists, and you guessed it, bakers! Every time I do make it out to the farmers market, I’m so torn with what to get. 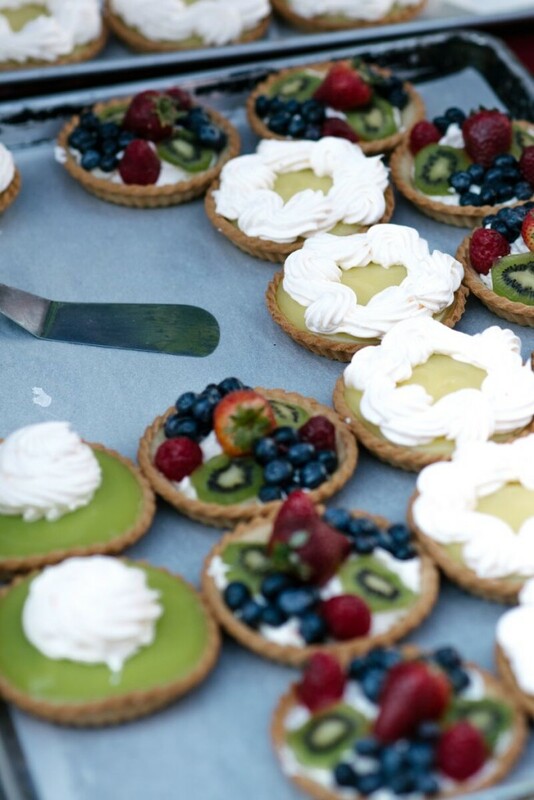 Mini pies, muffins, cookies, cakes, popsicles, macarons…we’ve got it all. And they are all so delicious too! After walking around for a bit, I decided on pastries from Pierre Country Bakery. They had tables and trays FULL of different pastries. Fresh fruit danishes, cookies galore, and check out those amazing salted caramel rolls. You can see the caramel dripping off of them! It was breakfast after all, so I decided on a fresh blueberry muffin, a cinnamon roll as big as my head, and a cherry hand pie. (Yes, I purchased three pastries. YOLO). 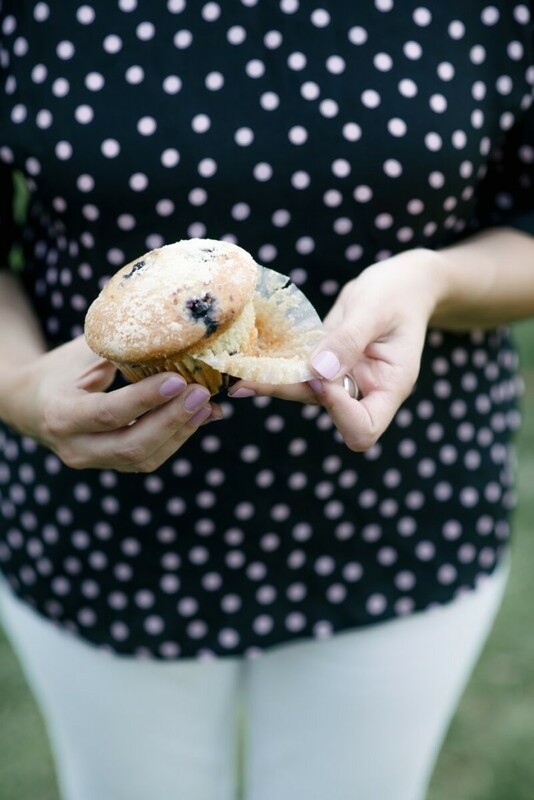 The muffin was moist, full of big and ripe blueberries, and so yummy! I only ate half to save room for the rest of my treats, but I might have eaten the rest of the muffin as part of my dinner. Can’t let any of it go to waste, right? 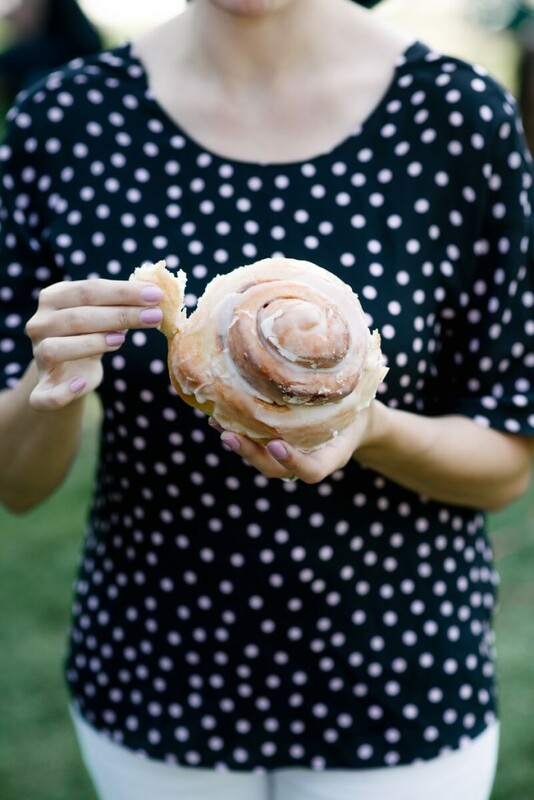 The cinnamon roll was intense. And intense in a good way. First off, it was HUGE! No joke, it was the size of my face. I am sometimes wary of cinnamon rolls because of nuts or other additions to the cinnamon filling that I’d rather pass on, but I am happy to report that this cinnamon roll was perfectly normal and delicious. It had the perfect icing to cinnamon ratio and was just the right amount of flakey mess. 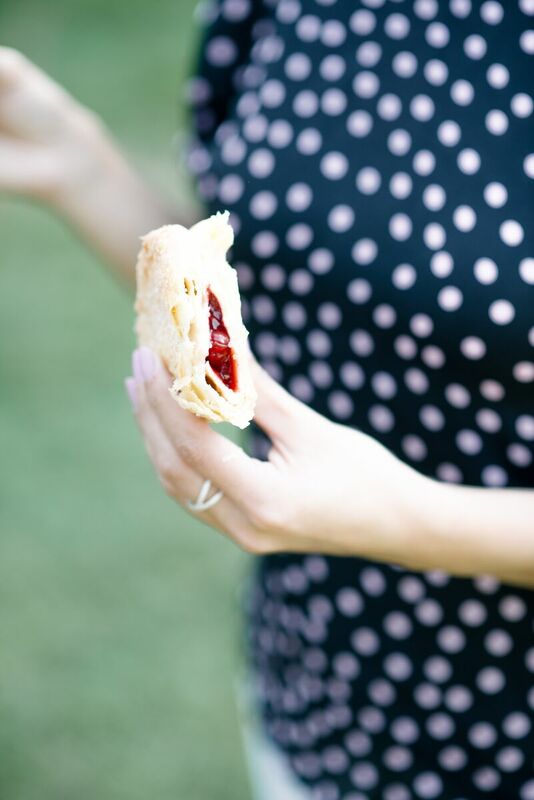 Last, but not least, was the cherry hand pie. It was definitely my favorite. 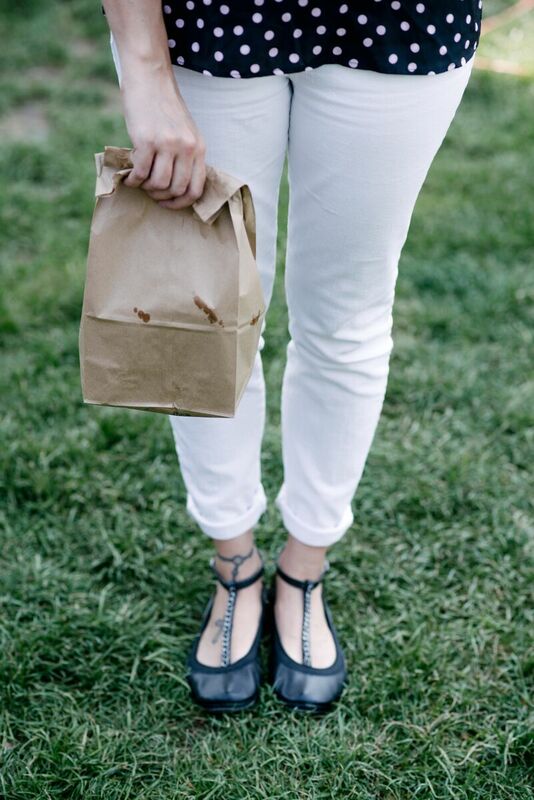 I am already a pie lover, but make the pie less messy, able to carry around while you walk AND eat with your hands…? I’m sold. The crust was flakey, buttery, and oh so tasty. It was filled to the brim with cherry goodness and I might have eaten the whole thing in one sitting. (No judgement). They also had a raspberry cream cheese pie and a blueberry one too. I might have to go back just for a hand pie run. It was that good. 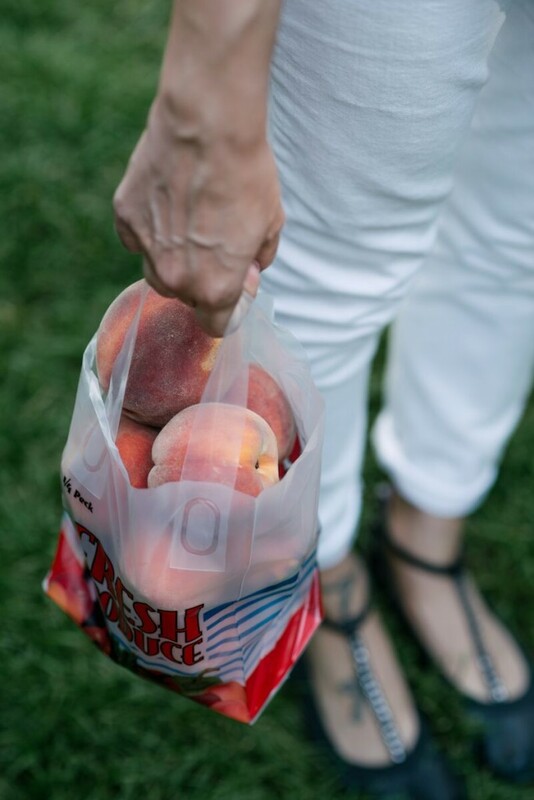 While at the market, after gorging myself on sweets, I picked up some fresh peaches for a few peach recipes on the blog. (I featured one of them on Monday and I’ll be sharing the other one later this week!) 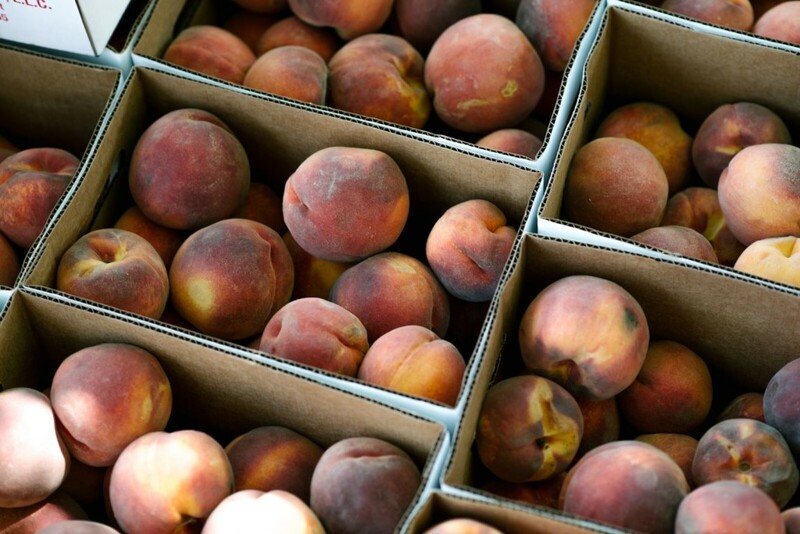 It is peach season and I couldn’t resist indulging in some fresh fruit. If I had any extra hands or an empty tote, I would have picked up some fresh flowers too or some corn so I could make another batch of these bad boys. 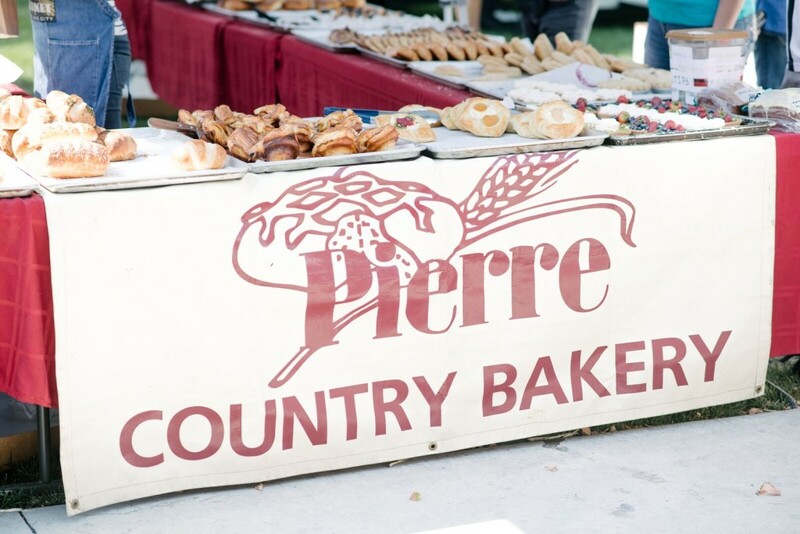 If you happen to travel to SLC or live here and want to stop by and eat some yummy pastries after market season is over, Pierre Country Bakery also has a storefront location. 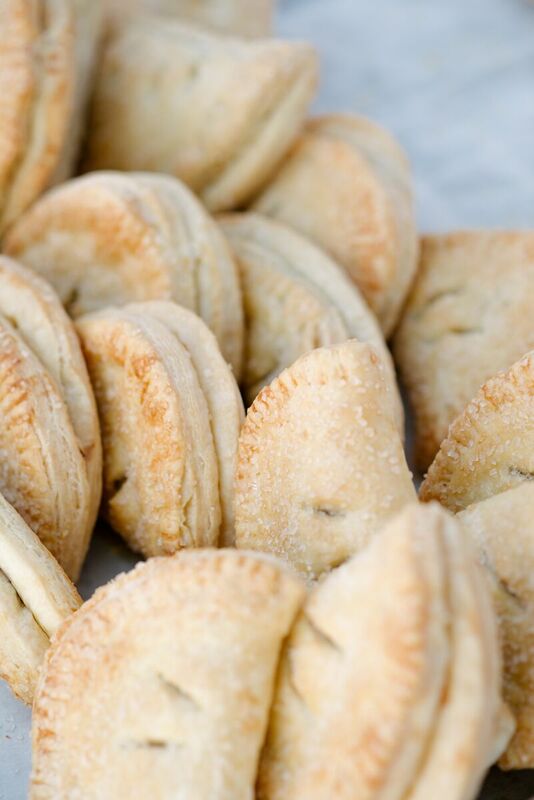 And they just so happen to have been named as one of the ten best bakeries in the United States from Time Magazine. Pretty legit, right? I definitely recommend making a stop and trying the pastries for yourself! You won’t be sorry!